With the G8 protests just around the corner, I doubt this will be the only entry on this subject. We still don't know how easy it will be to get to Edinbrugh on Saturday, though it seems likely that getting to Gleneagles will either be impossible or pointless. There also seems to be considerable confusion about what is happening on each day. The 'Geldof' day of the 6th is unrelated to the 'Make Poverty History' day of the 2nd. 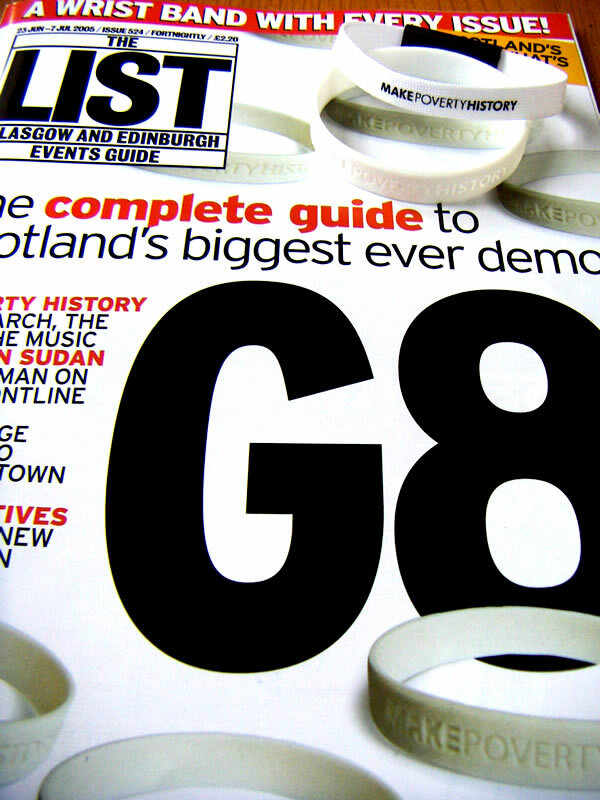 It can be quite difficult to discern how 'important' Live8 and the G8 is for the rest of the world. 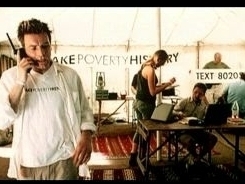 We have spoken with people in Spain and the USA who have certainly not heard much about 'Make Poverty History' campaign. Over the last few weeks, the multiplex cinemas have been screening a new Orange advert featuring Ewan McGregor and the MPH work. The format is consistent with the recent Orange cinema adverts, where the celebrity makes their film pitch to the Orange funding committee.